I has been one of the best purchases of my life. I LOVE IT. Over the past few months it’s become increasingly more difficult to feed my darling toddler. Davis has gone from the child who’ll try anything and eat a lot of different things to the child who looks at her plate and says, “I don’t LIKE it,” even though she liked it plenty last week. Fortunately (well, unfortunately for me) she only does this for me. Regardless, it stresses me out seeing he exist on a diet primarily of whole grain toast and natural peanut butter and cherrios, with some fruit here and there. She was the child who loved broccoli and now it’s like she’s trying to assert her power by declaring her distaste for supper. “I don’t want SUPPER. I want peanut butter toast!” insert slow foot stomp with each word. My wonderful, glorious juicer is a complete Godsend. I make her carrot, beet and apple juice and she loves it. Drinks it all and asks for more. Yesterday, she drank my juice with the above and some added celery and fennel. And knowing she’s drank a glass of this juice first thing in the morning takes a bit of the stress off. That too is a Godsend. 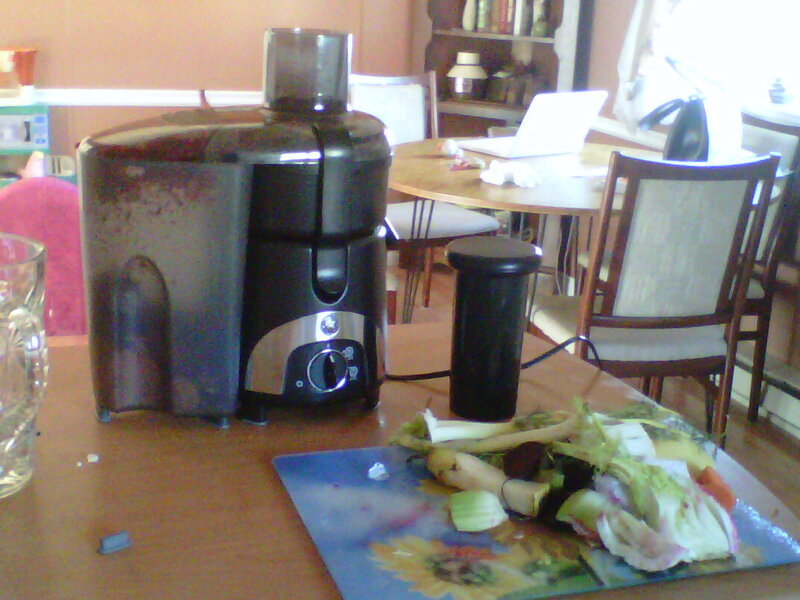 So thank-you God for inventing juicers. And thank-you for reminding me sometimes that voice inside my head isn’t always right. This entry was posted in Daily Dealings, Healthy Habits and tagged awesome appliances, fresh juice, healthy meals for kids, juicer, juicing, nutrition by njsullivan. Bookmark the permalink. thanks for the awesome comment:) truly appreciate the feedback. and thanks for reading. Thanks for the info Nikki! I love making smoothies, though I haven’t tried juicing yet. My only concern with the idea of juicing (and my expertise is based on late night infomercials lol 🙂 is the wasted veg/fruit pulp once the juice is extracted…any ideas/info on this?